Global Connections: What do the United Arab Emirates and Panama have in common? On first glance, the United Arab Emirates and Panama seem to be as different as apples and oranges, but if you think about it a little harder, you may be surprised to learn there are a lot more connections than you may realize. We've chosen the collection of seven Emirates and the central American country as our third set of countries in a segment on CNN International's "Connect the World," that we're calling "Global Connections." What do the UAE and Panama have in common? One of the connections I remember, was back in 2003, when we (panama) qualified for our first soccer world cup, which was the U-20 world cup, which was held in Dubai, UAE. I would say both countries are similar in the sense of development, Panama City is a very cosmopolitan city with high rises and all (but for some reason television chooses to portray only the ugliest slums of the city and the very rural areas). Both are free trade zone uae for middle east and panama for south america. Both economy are dollar pegged. They both blocked VoIP (Skype). They both have a building/construction boom but not many people are rushing to buy them. They both are mainly business focused where world class business men invest in the countries. Panama has the most developed skyline in central america, with state of the art buildings and architecture, just as Dubai. Of course there is no comparison with Dubai having the tallest building in the world, but at least Panama has the tallest tower in latin america as of right now. What are you paying for content on a story like this? Both are on the cutting edge of construction for their time. I live in Panama (PMA) and was strange to saw the name of mi country in CNN web page. Every each government period we have the visit from United Arab Emirates (UAE) politicians, so was interesting to know why CNN is asking for commons factors between our countries, and there is a few: both are small countries, Panama have 78,200 km2 and UAE 77,700 km2, a difference less than 1,000 km2 pretty amazing; population for UEA 4.4M and 3.2M in PMA. UEA have two border countries, Oman and Saudi Arabia, PMA too with Costa Rica and Colombia. Political constitutions last editions are from the 70’s, PMA have a 1972 constitution with some minor changes later and UAE actual constitution is from 1971. In UAE there is under construction the Metro public transportation, here in PMA we just bid that major work, a $2B project. Finally the most popular sport is soccer (futbol) in both countries and the FIFA ranking are just there, UAE#90 and PMA#97. Panamá es un país con extensos yacimientos de petróleo. Las primeras investigaciones sobre la identificación del recurso, iniciaron desde los 1917 hasta el año 1981, según consta en los archivos del Ministerio de Comercio e Industrias. A lo largo de este periodo el gobierno panameño permitió a varias empresas extranjeras la perforación de pozos en diferentes puntos del país, de los cuales muchos de ellos dieron resultados positivos. Estos sitios fueron Cañazas de la provincia de Panamá, Garachiné, Capetí y el Rancho en Darién. Entre la zona fronteriza de Bocas del Toro y Costa Rica, el pozo perforado en Tico-Cocoles produjo petróleo por espacio de tres días a una rata promedio de mil 400 barriles de petróleo diarios. Los últimos hallazgos de pozos se dieron en el golfo de San Miguel en las comunidades de Cémaco, Bayano y Anayansi en exploraciones realizadas entre los años 1987 y 1989. En toda la superficie panameña durante los últimos años se han detectado en total unos 36 pozos.43 En el mapa44 suministrado por la Oilwatch, podemos apreciar como dichos yacimientos cubren gran parte del territorio del país de Panamá. In resume, the previous Spanish article said we have a lot of petroleum! i have never live in the UAE, but i have certainly read a lot of information on them and am pretty sure i can give a reasonable comparison on the two countries, bearing in mind that i spend more than 15 years in Panama. Apart from the the fact that human beings live in both countries, the comparison stops there as PANAMA IS A COMPLETELY RUBBISH COUNTRY, where corruption is extremely rampant and a justice system exist that dates back to the 15th century. There is a ridiculous amount of garbage existing on the street, and the level of educated officials, is amazing as when they speak on any issue whether on tv or radio, you have to wonder if they ever went to any form of school. There is a silent dislike for foreinger, even though it is not express verbally, but if you live there you feel it, and this is a country that does not have any culture, as they adopt everything from others around them and would led you you to believe it is their own. In short the average person in the street is very ok, that is why i could be there for so long, but those that are in charge are some of the biggest abusers ever. with these factors in mind you cannot compare both countries. PANAMA IS AN OVER HYPE COUNTRY, WHICH NEEDS A WHOLE LOT OF EDUCATION, TO BE EVEN CALL A COUNTRY. The UAE with its powerful business base bridges the gap from the Middle East to the rest of the world through trade and commerce. Panama bridges the gap for business in the Western Hemisphere to the Eastern Hemisphere by allowing physical assets to be transported for trade and commerce. One of the connections is the construction of buildings. Panama has been trying for a number of years to make the tallest building in Latin America, the UAE has also been striving to make tall buildings and has achieved it. Both are attracting large quantities of investments to their economies. Both have a mix of people from differente countries living in them. The whole world is connected! Trade in both countries was hampered by the limitations of their natural infrastructure. But both countries did a bold move to increase international trade. They built ports to enable new international shipping companies with larger vessels to use their strategic location. The Chagres River was dredged and modernized into the Panama Canal and it continues growing with never-ending project expansions. The same happened in Dubai, the Creek River was dredged and modernized in 1960 and it was expanded into Port Rashid and Jebel Ali Port, both ports merged in 1991, making it the largest man-made harbor in the world. Today both countries are the largest shipping centers in their regions and they continue expanding their ports. Both countries share the same strategy as an entrepôt with booming re-export business where most of the merchandising passing through Panama and Dubai goes straight again out as re-exports without manufacturing. Dubai’s main import sources are US, UK, India and China and the main re-export destinations are Iran, India, Saudi Arabia and Kuwait. Both countries are a stopover of some of the most important trade routes. Both countries became major international hubs with their international airports and ‘open skies’ policies. Today hundreds of airlines use their airports to connect destinations worldwide. Both countries have huge yearly passenger numbers and boosted tourism. Both governments turned their attention to new industries, particularly tourism and real estate, attracting foreign investment. Both countries are tax havens. So despite their different locations, both countries and governments share the same vision. Both have limited resources and have created their wealth through creating trading and financial centers. Where their neighbos can hide their money from their less stable governments or wash it by investing into high rises that are only 20% occupied. The both have tremendous wealth which is only enjoyed by 10% of the population while the majority live on a few dollars a day. Don't see any connection!!! See a lot of opposites though!!! I live in the UAE, and the connection is obvious. The nation of Panama is the Gateway between the Atlantic & Pacific oceans.The nations of the world connect between continents through the hub of the Panama canal. The UAE, with is it modernistic and progressive Arab nation is the Gateway to the Middle East .The nations of the world connect to the diverse Middle East through the hubs of Dubai and Abudhabi, which have excellent air,sea, land connections to the other nations of the Middle East. So the commonaltiy is in being global hubs. Both are defined by their capital cities. Panama is a major banking center, the top place for innvesting in its region, like Dubai in its region. Both cities have spectacular skylines and are currently rich and booming. Real estate is hot in both places, Panama has surpassed Miami as the preferred spot for highrise residences among rich Latin AMericans. Both are very international and have a lot of foreigners. Finally, each have a particularly wide disparity between rich and poor. Also in both countries it is easy to find centuries old traditions living on outside the cities- the Cuna in Panama in particular. In both countries great feats of construction are being/have been carried out, in both places largely using East Indian laborors (Dubai/Panama Canal). Panama has banks, many banks and is "managing" big money discretly. UAE has big money or better big wealth and one can see it openly. Panama money works on interest (higher than in the United States). UAE money works on participation = taking part in the businesses. directly from UAE, but they mostly do NOT unload their oil in Panama. receives its gas mostly from the United States. Panama has a Free Trade Zone which UAE should use much more to sell its products! Panama City is positioning itself as the Dubai of the Americas. Looking at the skyline only confirms this. Although almost similar in size and population, both are rich in natural resources , from oil and gas to water and rainforest. Not to mention the skyline of each country where Dubai has the world's tallest building and Panama the tallest building in Latin America. Construction has played a mayor role in each country during the last years. Having come to the UAE to do a 6 week job almost 15 years ago... it is certainly an unrealized treasure. The country is truly an exception. Nowhere else is 85% expatriate population and has such a diverse religious make-up and tolerance. We have probably the best infrasturucture on the planet. Also, there is a unique model for unemployment and drug abuse. If you do not have a job you cannot live here and if you need rehab... sure it is 4 years in jail. There are a raising number of skyline in Panama and "Arab money" (meaning lots of money) because Panama is a nation that welcomes investors and many countries to invest that see the potential like in the UEA being a port country. BTW, the picture CNN.com used to illustrate Panama does not illustrate the city metropolis, it makes us look like in the times of Columbus. One connection: unabashed out of control super tall skyscraper construction that pollutes the skyline of their capital city. But seriously, I have a deep and long lasting connection with Panama that began when I was a Peace Corps Volunteer, I met my wife there, did my master's thesis, had a great job and make frequent trips. While the capital is unrecongizable to me, once you cross the bridge, the country is beautiful with wonderful people. I have been fortunate to get to know almost every nook and crannie of the country and the diversity of the country is amazing- both ethnic and biodiversity! Plus they have the best coffee on the planet. The Fifa World Cup for U20 was hosted in the UAE in 2003. On December 1st ( a day before the UAE's National Day) the UAE and Panama met. I was in the stadium that day, and had never heard of Panama before. I had been to Panama City , FL before and wondered if the two were related. After the game I researched Panama and was surprised to learn it was a country; I would have never guessed where it is located on the map. The Dubai skyline inspires awe, beautiful buildings and prosperity set in the middle of an ocean of sand. Human ingenuity is evident. Progress and a country with a purpose is the general theme. Panama, on a similar note has the skyline of a first world metropolis set between two vast oceans and lush vegetation as far as the eye can see. Mega projects that have caught the eye of the world are in the works in our small Isthmus country. Dubai has the Burj Al Ara building and Panama has the Trump Ocean Club, both buidlings look almost exactly the same. Panama´s Skyline is pretty close to Dubai´s Skyline. Both countries share a taste for very creative and innovative architecture, a prime example of that is a new building named Revolution Tower that ressembles a screw. This building should be completed in the year 2011. Panama is now known as one of Latin America´s Skyscraper City. Panama is a popular vacation spot for many people. Though underdeveloped, Panama has the ability to transform itself into the next Dubai by studying the development and crash of this GCC. The similarities between the two countries are uncanny as both are major ports connecting the area around them to the world, endorse strong cultures and can use forigen investment to boost (and re-boost) the economies. Dubai has "The Palm", Panama has "Punta Pacifica", both are fillings in the Ocean. Both have high sky scrapers, and a lot of construction. Both places are hostess for a lot of individuals looking for opportunities, and both have cheap labor. Panama same as the United Arab Emirates have a diverse multicultural society, they both have an increasing economy even though they both had political stepbacks for either dictators ( Panama) or wars ( UAE). 1) Both have a sail shaped building: Panama has the Trump Ocean tower, Dubai has the Burj Al Arab. 2) Both used the same honey-comb patern which serves to protect foundations from erosion: Panama for the Cinta Costera and Dubai for the Burj Al Arab. 3) Both are undergoing a construction boom. 4)Both have lots of inmigrants. 5)Pearls were/are (not sure) extracted from their waters. Panama form the Archipielago de las Perlas and UAE from the Persian Gulf. 6)They are both a financial center. 7)Both were visited by the portuguese during the colonization era. 8)They have more or less the same total area. 10)Both the Emirati dirhams and the Panamanian Balboa (are pegged to the US Dollar. Transportation hubs. Panama has the Panama canal and Dubai has Emirates Airlines and Dubai Airport. Emirates Airlines flies to six different continents. Panama is called by many the Dubai or Singapore of the Americas. Both countries have free trade area, although Panama is the largest in these times (Colon Free Zone). Both countries had no population in the early 20th century, the population of Panama was not greater than 70,000 inhabitants in 1903 Today we are 3.2 millions.Panama is a country of migrants from around the world, the Arab colony has its place in the history of Panama. The best soccer team in Panama is the UNITED ARAB ... so our world is very small. "Al ain"; one of the maijor cities of both countries. Alain in UAE is a major city of Abu Dhabi emirate. While Panama has a major city called "El ena"
Panama and the UAE have something in common: they attract foreign investments because of their financial centers and strategic location. But they are also vulnerable to drug trafficking and money laundering for the same reasons. Dubai and Panama City show a cosmopolitan look in their landscapes full of tall buildings with the sea as their background. Panama and UAE are simply two small countries that capitalize in their resources and privileged geographical locations. I consider that the connection could be established on real estate projects that are under construction in Panama at this moment. The UAE are good making exotic real estate constructions for example the artificial islands and a number of other luxury projects. Panama is in a moment of economic growth but also has to make more progress in bringing more investment and the UAE could play an important role in developing projects like Hotels, apartments, vacation villas, water parks, shopping malls, and maybe an artificial island project that can put Panama in a exotic real estate paradise. I consider Panama a great place for investment on the long run. It has a stable democracy and most important it has the dollar as the oficial currency. The UAE should consider Panama at this moment. The link between the UAE and Panama should be called Donald Trump. It is a fact that both countries have enjoyed robust economic growth in the last five years, mostly in the real state and infrastructure areas. This growth has made both countries heavens for high end, luxury investment. Mr. Trump has seen the same potential in these places and is in the process of building an exquisite hotel tower in Panama City (which looks pretty much like the Burj Al Arab hotel) and he is ready to build a similar one in one of Dubai's palm islands. Enough coincidence, it is said that the tower in Panama is on top of an artificial island, just like in Dubai. they both have the sail type structure of a building the first being the Dubai one and the second the Trump Tower in Panama. they both too have set sights on tourism as a way to be less dependant on their one great source of income that are pretroleum and the Panama Canal. none have a Metro but both are planning on doing one. The UAE has no freedom of speech, we are required to keep our mouths shut on everything the goverment plans and if anyone disagrees on anything he/she goes to prison or gets fire with no rights what so ever. Jumeirah Group, the Dubai-based luxury hospitality company and a member of Dubai Holding, has been appointed by Grupo Mall, developer of residential and mixed-use projects throughout Spain and Mexico, to manage a luxury hotel in Panama City. I often go to Panama, and they're building more and more towers every year. Trump has a tower that's gonna be ready in maybe a year or 2. And there is also a project of artificial islands on the coast of Panama City. There are lots of rich people and investors, mostly in real estate or land. And the nightlife, international DJs start coming to Panama, throwing huge parties, new clubs open every 3 months. PS: I have pictures and videos. Think about the number of ships owned by UAE nationals & interests that is now flagged and will be flagged with Panama. Small conuntries with good economies. Both share their borders with two other countries. Columbia and Costa Rica for Panama and Saudi Arabia and Oman for the UAE. Both are in very STRATEGIC locations. Panama Canal and The Strait of Hormuz. Public debt for both countries is about 50% of GDP. One thing I see that is common to both countries is the touristic atraction for the extreme weather these two countries have. I Traveled in the Sand dunes and went to the beach while seen herds of camels and goats in 130 C degress. amazes how the locals handle such live. 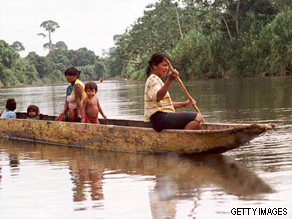 In my country Panama I traveled with my family up r.ver in a cayuco (picture) for an hour until we reached a little village. On our way we experience the humid heat and saw all sorts of animals from the trees and we were marveled to see how this people live in such a harsh environment. Both places are extreme but yet people make the best of what they have here and make it home. Both countries have EXCEPTIONAL food! They both have EXCEPTIONAL food in the restaurants! Panama and UAE are actually similar. Poor countries of Africa and Asia nearby UAE rely on trade and supplies from Dubai. So small traders who cant afford to buy from Europe, China, Japan or US, come to Dubai. Same with Panama, traders from poor countries in South America can rely on the goods coming from Panama. Both stand out as a link of between giant and poor economies. Mohamed, There is no such major city called El ena. There is the area of Santa Elena which is translated in English to Saint Helen. Saint Helen or Saint Helena was the mother of the emperor Constantine. 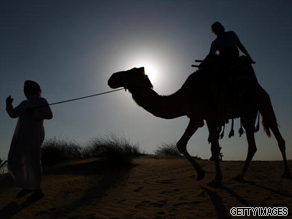 Camel is known as the " boat of the desert in Dubai "
and in Panama people use boats. Both of them is situated in a very important area. And Spanish and Arabic share a lot of words and phrases. In both countries economies are based on exploiting a natural resource or geographic position. Natives skill and knowledge plays irrelevant role in both economies, all know-how is imported from U. S.
Seas has made both countries famous. Coastal areas are important in both countries. Both countries were colonies of an Western Europe empire. In both countries cars are driven on right side of the road. How about the Burj Al Arab hotel and the Trump Tower? Great visual for an intro shot. I'm myself an Emirati and after doing a small research about Panama I can say one if the connections could be that the UAE being close to Strait of Hormuz which made it easier for it to import and export gas and oil. While Panama Canal is the major transport hubs in that area. Plus another important connection between the two countries could be, that here in UAE specifically in Dubai we have Jabel Ali Port (One of the largest man made ports) which is one of the major ports in the Gulf area and a part of DP World – Dubai Ports. Jabel Ali is famous for its free zone, which makes import and export of good much more easier for business traders. This helped Dubai to become one of the major business cities in the country and the gulf area. While in Panama they have many major ports such as Balboa, Cristobal and Manzanillo. The similarities between the Arab Emirates and Panama are incredible, from the diversity in style from each emirate (Dubai, Abu Dhabi, Sharjah, Ajman, Ras Al Khaimah, Um Al Quwain) to the diversity in style in each major city of Panama (Panama, Arraijan, Colon, Changuinola, David, San Miguelito, La Chorrera). Panama City has become one of the most important financial centers in Latin America just like Dubai in the Arab Countries. Architects in both Panama and Dubai are going to edge of architectural and engineering madness to make their city skylines taller and more incredible than any other city in their region. Both countries emphasized in the free trade style to bring not only major companies to their countries but to stimulate migration. They are situated underneath the same sun, share the same earth, are blessed with beauty, what else do you need? Both these countries are big on pulling foreign investment. Both these countries serve as a point of exchange in their ports, Panama has serve as the point of storage for goods headed to the rest of their neighbors. As the UAE did beforehand, a point of exchange. Both of these countries have a very low quantity of local people, but still manage to pull a lot of immigrants, who are there for investment. Tourism wise, they are both a great hub for their particular geographic areas, they tend to pull a lot of tourist. They seem to have a very safe environment compare to their neighbors, with wars and other internal problems, they seems to have always keep the peace through time, and still manage to be consider safe for travel. They are both on the verge of modernism, always been consider by the great developers of our time. Even tough I have not been in either one of them, both have manage to come to the spotlight and present their attributes to world. CNN Global Connections should provide a ticket for two to both the countries they present on Global Connections, and then review with the winners on site their impressions. 7. Both are heavily dependent on their seacoast connectivity. To me it seems the connection is the longitude on this earth, the strategic place between east and west( uae) and between north and south(panama). For me the connection is the gigantic summs of money being invested in uae to be able to live there( no water, very hot climate) while for a fragment of these money they could live in panama and use the extravaganza for something usefull. Not the palmisland!!! Why not live together and invest in something usefull: production of food, environmental foresting, and durable development? Both the UAE and Panama have dozens upon dozens of private universities that have sprang up over the last decade. These post-secondary institutions are from the U.S., United Kingdom, Australia, Canada, India, and Brussels. The public universities such as UAEU and HCT are restricted to Emirati nationals only, but the private institutions are open to all. While I'm not sure of who the staff consists of in Panama, in the UAE the teachers and administration are primarily expatriates (from everywhere). I understand this to also be the case in the K-12 system. As Dubai has an artificial island, currently in Panama there are in construction a set of 3, with rock coming from the excavations from the Canal expansion. How stupid is this? This actually passes for news today? This is like a kindergarten exercise. This is why we are stupid. EMIRATES IS HIGH SPEED DEVELOP COUNTRY. EMIRATES IS HIGH SPEED DEVELOP COUNTRY,WHERE YOU CAN LIVE IN SECURITY,CALM. The UAE and Panama have about the same territory, about the same population and both were known as "pirate coast" in the past centuries. First thing that comes to my mind is that the Jumeirah Group, a Dubai based hotel management company, will be managing a luxury hotel in Panama City. As many projects in Dubai, this luxury hotel complex (Los Faros) has been affected by the economic crisis, and construction has been delayed for over a year. Another connection is that both countries have been having construction booms in the past 10 years, while Dubai has been affected in a huge way lately, Panama´s economy has been able to deal with the crisis in a better way and while construction has slowed down a bit, the construction boom still continues, and new projects emerge every month. Both places seems to be doing this these days. Both countries have dramatically altered their geography for the sake of commerce. Panama with the Panama Canal, and UAE with the massive port they dug and the giant island cities they've been building. I have lived in Panama most of my life and consider myself panamanian. I come from a middle eastern descent and 2 weeks ago returned from a trip to Dubai and can tell you they are very similar in many possible ways. Panama has one of the most important skylines in the latin american continent. Sprawling buildings as well as some of the most luxurious and biggest malls. The tropical climate is not as hot as the desert climate that Dubai has but both are sure to make you sweat and run to an AC´d room. Dubai has the biggest expat population and Panama is known to be welcoming of foreigners and you can meet europeans, americans, chinese, indians and many other nationalities as you walk by the streets. Panama has one of the most important ports in the world, including its Panama canal that joins Atlantic and Pacific, and Dubai also is a hug for ship cargo. Will continue brainstorming the idea and see if I come up with more similarities. One thing I must add is that they are both wonderful places, and I sure hope to go back and visit the UAE soon. Both are small in terms of population and area by almost any standard. Dubai houses some of the world's tallest buildings whereas Panama City has a share of skyscrapers – something unique in Central America or the Caribbean region. Just like the UAE, Panama's economy relies heavily on services and international trade. The Panama Canal's terminal ports (Balboa and Cristobal) are focal trade points for all kinds of vessels. Shiprepair facilities, bunkering, provisions, etc. are readily available, similarly to Dubai or Abu Dhabi. Their banking centers and commercial air traffic stand out in their respective regions. Panama is hot year round (day temperatures exceeding 90 deg F every month) and the UAE can be very hot most of the year. At least a fifth of the UAE's and Panama's population live below the poverty line. The poorest ethnic groups are called Indians coloquially (although for different reasons: South Asians and Native Americans). Finally, we all surf the internet, do social networking, blogging, and read CNN international. Both countries depend heavily on foreign investors to create jobs, both countries import almost everything, they lack industries. I've heard from Panamanian people that there is a very large Arab comunity in Panama that deals with imports from China & other countries, like soft good, hard good, and electronics, which they in turn export throughout Central ,South America and Cuba . It is very succesful due to the free zone area, duty free. Panama atracts investors, for its strategic location with the Canal & its financial institutions, though it is also a temptation for those doing drug trafficking & laundering money. to invest in the country, making its real estate very desirable. Both the United Arab Emirates and The Republic of Panama currently have an inflation rate on consumer prices of 1.5%. From the Panama Canal to the world's tallest building, the Palms, and the World. The word used in Panama for a police covered pick-up sounds like the word in Arabic for Police. CHOTA Also sometimes money/cash is referred as FLUSS. There's a bulding in Panama City – "Trump tower" – under construction which looks like the famous Dubai hotel. Word is that the promotors of the Panama building were sued by the Dubai hotel because the design. Some of the urban development in both countries are for show-up, prestige and looks, not that much for functionality. COPA Airlines, Panama airline, is the Americas narrow-body, less hype and much less glamorous version of Emirates and Ethiad. A hub style airline based on very good geographic location. Panamanian horse riders are famous in the UAE racetracks. UAE and Panama has nothing really do with politics , both are peace-making kinds of countries and often pay off money and supplies to unfortunate countries regardless of geographic factors. What does the Universal Amiga Emulator has to do with Panama. Why is Garad ignorant? You fool. They ARE similar in colour. So what's wrong with that? Do you have a problem with colour? They were both fabricated by their colonizers, not so long ago. And have a rather arbitrary existence as pseudo-states. The only thing these two countries have in common is that they both still USE women as stepping stones in their insatiable appetite for power; in Panama, women are stalwarts of poverty and in UAE women have less freedom than pets. They might have same color but your attitude seems to have no color at all. By the way Obama is black and is President of The U.S.A. They're roughly the same size as Panama is 117th in area compared to other countries and the UAE is 114th. Also, they're both located at choke-points for oil transit. Panama has the canal (obviously) and the UAE makes up the southern shore of the Strait of Hormuz. My connection would lie in the similarities of US interests. The Panama Canal is a US run area from 1979 to 1999, however it was run by the US from 1914 (the opening) to 1977. Maritime interests for the UAE is when the Dubai owned company , Dubai Ports World (DPW) purchased P&O which in turn meant it was able to run 6 US ports, New York, New Jersey, Baltimore, New Orleans, Miami and Philadelphia. US Maritime interests would be my connection. A long time ago, my brother was a sailor on Royal Dutch Shell tankers. He sailed to places like Japan and Alaska. Eyewitnessed the Viet Cong Tet offensive in Vietnam, and got stuck there for a few weeks. He was also in UAE and sailed through the Panama canal. Maybe he wasn't in the UAE, but only waved at it when he sailed past it from the oil terminals of Saudi Arabia to the seven seas. Sweet dreams are made of this. But it was too true to be good, after six years on the 'grote vaart" (big sailing) he had enough of it and decided to stay in Holland, on shore. I converted to Judaism and moved to Israel. And the rest is history. Panama and UAE have connections on many levels. Culturally, we can say that both have a masculinity driven culture and their is a high degree of collectivism (family orientation) rather than individualism in both countries. Religion also plays a major role in both countries, yet both countries seem to have (implicitly or explicitly) created nuances accommodating for the modern needs of business and tourism. Finally, in business, they are both major hubs (sea and air) connecting many people and industries across the world. Both are small countries (about 77,000 square kiliomtres each) that are vital to the global economy. Disruption of Dubai's oil outputs or Panama's shipping through-put would cause an immediate disruptive effect on the global economy. Prices at the pump as well as on Wal-Mart's shelves would be immediately felt if either were to be threatened. However, neither countries cannot guarantee their own security. UAE with a defence force of 65,000 and Panama with its newly-formed Public Force (replacing its defence force) rely on regional powers as security guarantors. The US is treaty-obligated to defend the Panama Canal and the Arab nations' collective power keep UAE under their security umbrella. Indeed, both need only spend about 1% of their GDP on national defence. Meanwhile, China is both a threat to these security guarantors and an opportunity to the countries themselves as it contributes greatly to both countries' financial, real estate and financial sectors. A natural resource dichotomy also exists as water-poor Panama with its 120 inches of annual rainfall struggles to provide for its 3.3 million residents due to demands of an expanding canal that requires fresh water to fill its locks, while UAE's 4.5 million residents enjoy the benefits of desalinazation. Panama's lush biodiversity and natural resources belie its per capita poverty and does not compare to UAE's relative affluence and quality of life as an oasis built despite lack of natural resources. From a sociological perspective, both (necessarily) can boast a climate of tolerance and acceptance of other cultures as they both epitomise globalisation as necessary to their national survival. Two countries that have made the most of their geographical uniqueness (strategic maritime link, and oil) to diversify and strengthen their local economies, UAE till recently becoming one of the fastest growing economies in the middel east while panama is one of the fastest growing central american countries. Both countries are pretty small by global standards, and indeed both countries have the same area in sq kilometers ( UAE 116th and Panama 118th) and populations less than 10 million. well the main connection is that there is no income and corporate tax in both the countries! Although Panama has been called the Dubai of the Americas and Dubai most likely not ever called the Panama of the Middle East, there are some commonalities. and this for UAE: http://gulfnews.com/business/tourism/medical-tourism-in-uae-to-generate-dh7b-by-2010-1.174496. Geographically Panama is better situated to capture the US market – one that is being targeted by UAE. UAE will face stiff competition from other Asian and Middle East markets. Not sure what regional competition Panama has? Bank of Credit and Commerce International (BCCI). the first and most recent improvement that both countries have made can clearly say they have something in common and it is the real estate boom or construction which has set both countries in the eye of the world as a tourist destination, real estate investment and place to relocate or retire; they both have amazing structures and such beautiful landscapes that creates a pleasant atmosphere to the sight. The second factor is that both countries have two of the most strong and safe banking and financial centers in the world which as a result makes them more attractive or viable to encourage the real estate growth, foreign investment attraction and relocation or destination to retire. Regional Hubs for Container Terminal facilities that facilitate both countries to adopt the setting of locations for free trade zones due to their logistics wise positioning and global impact on the maritime and trade industries, they´re mainly transit terminals due to their small size to be just an importers of goods. Regional Headquarters location for Multinational companies of different industries due to the benefits that they offer; such as strong economies currently in growth, safe banking and financial centers, regional free trade zone locations, infrastructure investment improvement in the past couple of years, tax benefits to attract foreign investment among others. The Panama Canal makes global trade more efficient and currently is under expansion to improve drastically its global impact and oil plays an important role in the UAE economy and also has a significant global impact. In their own way both countries play an important role on the Global Trade; The Panama Canal speaks for itself and Jebel Ali Port which is the largest maritime port in the Middle East and the seventh busiest in the world. 1. )UAE possesses one of the most developed economies in West Asia while Panama in Central America. In fact, Panama is regarded as the 3rd biggest economy in Central America and UAE the 3rd in Middle East-North Africa region. 2.) Both countries' location are strategic especially for trade routes. The Panama Canal serves as a pathway for international trade as shipping companies passes through it especially ships carrying oil which mainly comes from UAE and other middle-eastern countries. UAE on the other hand approaches to the Strait of Hormuz which is a vital transit point for world crude oil. 3. )Both nations are bordered by 2 countries. Panama is bordered by Costa Rica and Colombia while UAE is bordered by Saudi Arabia and Oman. 4.) Surprisingly, 1% of Panamanians speak Arabic as their second language. 5.) Arabic has a significant influence on the Spanish language which is the official language of Panama like "azucar" which came from the Arabic word for sugar, "sukkar". 6.) Although predominantly Roman Catholic, an estimated 10,000 Muslims are living in Panama. 7.) British expeditions occured in both countries. In Panama, a failed attempt by Scotland to establish a colony there was regarded as the "Darien scheme" which has been cited as one of the motivations for the 1707 Acts of Union. In UAE, British expeditions to protect the Indian trade from raiders at Ras al-Khaimah led to campaigns against that headquarters and other harbours along the coast in 1819. In 1853, the sheiks of UAE signed a treaty with the British, under which the sheikhs (the "Trucial Sheikhdoms") agreed to a "perpetual maritime truce." It was enforced by the United Kingdom, and disputes among sheikhs were referred to the British for settlement. The United Kingdom and the Trucial Sheikhdoms established closer bonds in an 1892 treaty The sheikhs agreed not to dispose of any territory except to Britain and not to enter into relationships with any foreign government other than the United Kingdom without its consent. In return, the British promised to protect the Trucial Coast from all aggression by sea and to help in case of land attack. 8.) 2 conquistadores under the same Vasco name explored both countries. Vasco da Gama seized control of the Arabian peninsula that includes UAE which saw Portugal controlling the area for 150 years. Vasco da Gama was helped by Ahmad Ibn Majid, a navigator and cartographer from Julfar, to find the route of spices from Asia. Vasco Núñez de Balboa's tortuous trek from the Atlantic to the Pacific in 1513 demonstrated that the Isthmus was, indeed, the path between the seas, and Panama quickly became the crossroads and marketplace of Spain's empire in the New World. Dubai is full of old Brits, Panama is full of old Americans. It's ridiculously hot in both countries and they have marvelous beaches. In 2008 UAE exported $0.48 million worth of goods to Panama, while it imported $0 worth of goods. Panama is important to UAE/Dubai in their trade and commercial relationships with the USA and LAC. Panama has no restrictions on the outflow of capital or outward direct investment. Panama can be the best UAE/Dubai’s entry point to the Caribbean and some countries in Central America such as Costa Rica.. Both are deficiently sovereign; their regimes being installed and influenced by the US and the UK's governments. And both countries were arbitrarily concocted in order to maintain colonial influence. 1. Both have the worlds longest structures – vertically in the UAE, horizontally in Panama. 2. Both have (previously) been money-laundering centres. 3. Both are hemispheric "gateways" – Panama canal linking the West and the East, UAE trading / airline hub linking Asia and Europe. Both are dredging and shipping countries. Long ago in Dubai, UAE, before oil became the source of wealth, pearl diving sustained its local population. Pearls were the main economic force in the region, with the pearl drivers and traders gathering to buy and sell the precious commodity. In 2008, this tradition was revived. About 400 years ago Panama’s most prolific source of wealth was pearls. Pearl Islands, Panama historically treasured most of the pearls in the area and supplied some of the best and most famous pearls in the world worn by royalties. the connection between the two countries is on large oil reserves,a boom in infrastructural construction and the use of $US as the legal currency on monetary issues. I am a native panamanian, and apart from going to college in the US and a brief stint living in Geneva, I have lived in Panama all my life (all 31 years). I had a chance to visit Duvai, UAE last July 2009 and was thrilled to see a small window into the middle east. #1 Both are strategically located geographic hubs. Of course Panama is known for its canal, but Panama acts as a bridge between central and south america for commercial trade and logistics. In Panama you see an influx of multinational corps. In Dubai, you also see a hub connecting Asia and Europe via the Middle East. #2 culturally you see an evident link as well. Panama´s demographic content is multidiverse in culture. And as a country with a historic trading background, we are not only accustomed to, but also welcoming of different nationalities, cultures and ethnicities. It is very evident that Panama has a major US influence, and you can see how much we differ from other countries in the region, but a lesser known fact is that in our duty free zone (one of the largest in the world) in the Atlantic region of Panama (Colon), we have many different nationalities working together, in peace, and in pro of commerce. This area, largely dominatged by the arabic, jewish, and hindu communities, is an example of work and commaraderie between nationalities, which in other parts of the world, might be in conflict. I saw some of this as well in Dubai, a city so cosmopolitan, that many internationals and expats feel right at home in. I beleive both Dubai and Panama welcome foreign Direct Investment, and open their city to embrace internationals. Even though they are not third world countries, seems like both countries don't really have a middle class. Both nations have Birds of prey as their national Bird. ISSUE: The question of how the United Arab Emirates and Panama connect? 7. Strongly encourages CNN to allow Balboa Academy’s MUN Debate class to further elaborate through a video produced by the class on how Panama and UAE are connected. They are both placed in very important geographical locations of global trade connecting important continents together. The UAE connects Europe, Asia, Africa through it's highly developed airports, and Panama connects virtually the same continents also the Americas, with it's shipping port and canal, causing large cosomopolitan cities to grow into the cities they have become. Both countries share: similar size in terms of surface and population, buth more important, share a similar future. Both countries are working as hard as they can in developing as trading and banking hubs. With huge port and airport facilites, which makes them natural exchange hubs for travellers. Also, both countries have a great mix of cultures and nationalities lining in. If you wanted, you could make a connection of these 2 countries with another small country which inspired both the UAE and Panama's development plan, that country is Singapore. If you analyze the 3 countries you would be amazed by how closely they follow the same path. Singapore started, Dubai followed and finally Panama. They share the sand and ocean, being both in a gulf. That also leads them to sharing two of the most magnificent creations of engineering: The Jebel Ali port in the UAE, which is one of the three mega structures that can be seen from space, and The Panama Port, the first of its kind. Being a Latin American, and knowing the roots of society there, and having lived in Dubai for two years, both countries value family and tradition. With regards to commerce, they are both duty free areas and are fully equipped with all the latest gadgets of IT. And... if you look hard enough, in both places you will find the true identity of women... Shoes and Handbags, at all prices and all sizes! So there, have added a few to the list! I really support the points mentioned by the person named "Mark"
I also never lived in UAE, But if you compare, UAE is much much better place in every angle. The most bad thing in Panama is the juduciary, and it is not because of that, we have to say that Judiciary is in the hands of Policitans. Politians are playing a big role in Panama. Can you belive they change the whole judiciary (peoples) system when then is a change of govt. Not only that they evem change many laws (especially visa or immigrant matters) according to their convinience, for them to flow more money into politian's hand. One common thing in these 2 country may be, the poor became more poor and the rich became more rich. Also both becoming a safe heaven for rich peoples. Another one, but not a comparision is, Dubai is famous because of Pertoleum and related activities and panama is famous because of Panama cannal. Also if Panama is good for naturally pure water, Dubai is just opposite. Another thing is It is very dangerous (in terms of attacks, robbery / theft, etc.) to live in any place other than panama city, But dubai / UAE is much better. But in terms of culture, panama also got some values. But the thing is it is not opening up for other people outside panama. One bad point which i noticed is the number of divorces per person, this may be one of the highest in the world. No connection either bcos al connection has been made bt i blive tourism is a major attraction in each country!!!! In regard to Panama, not only does it have a considerable Muslim population, but it also has a considerable population of people from the Indian subcontinent. The UAE also has a considerable population from the Indian subcontinent. Our current president here in Panama thinks he's somewhat an Emir. If he doesn't, at least his vice-president thinks next ruler must be him. So it's kind of a monarchy too. Panamanian politicians and many entrepreneurs have big egos like the Dubai elite, They like pharaonic projects that should be compleated as soon as possible. Both countries landmark projects development if heavely financed. Can't talk about about Dubai's percapita debt, but Panamá is the region highest and unlike Dubai (or UAE), Panamá most likely won't be able to easily pay or negociate it. I totally disagree with "Mark". How he dares to say that Panama is a rubbish country??? Or say that panama is not even a country at all.... those are insulting, horrible thing to write. Everybody is entitled to their opinion, but was that an opinion or an attempt to insult and offend Panamanians? In addition, its a lie to say that panama people have a "silent dislike for foreigners" that's not true! On the contrary, we are small country, but we are a great rainbow of races and religious. And everybody is treated with respect and friendliness. Indeed, as a Panamanian I am just disappointed that CNN allows offensive unfounded stuff like that to be published in this forum. What that positive in which way, how did it contributes? Mark, no country, no place on our planet is perfect (including yours), but we should all strive to be better neighbors of this planet, and coexist in the most friendly way while express our opinions with dignity and respect to all. Panama sits at the cusp between the continents of Americas – North and South and provides the connectivity for the more than 15000 vessels between the two greatest oceans on earth Atlantic and Pacific ocean. UAE was the pioneer in offshore oil drilling and finding one of the most valuable sources of the last and coming century – crude Oil. Both the countries – albeit tiny – play a key role in the Global machinery running. There are lot of things but i can't post it here and i also i will like to write a few story about a mysterious travel i make last three years in october 2007 from Nigeria to Ivory coast , but the issue of Panama and U.A.E. I wish to have your respond soonest. To even tailor this right panama U.A.E a full context of text book have to be preview about both country and i will give fact on the issue if only their is no limit time to this and just in two to three weeks on the issue. Both are small countries trying to play a bigger role in an economically dynamic region on the threshold of economic development. 1. The issue of flooding; Panamanian's as made an attempt to fight this issue with the sum of $5.25 billions and at the same time this event has the effect of to create new job opportunities for at least 7,000 to 9,000 unemployees of the country so this make the event great of which they are expecting it to boost and transformed the country economics. the project which is also expect to be complete in 2014. The flood of thing as cause a lot of set back for this country in late century but for now at least new reform is now coming to this country to a better space they are seeking for in the past. 2. The economy stagnant. ; Economic growth will be bolstered by the Panama Canal expansion project that began in 2007 and is scheduled to be completed by 2014 at a cost of $5.3 billion – about 25% of current GDP. The expansion project will more than double the Canal's capacity, enabling it to accommodate ships that are now too large to transverse the transoceanic cross way, and should help to reduce the high unemployment rate. The United States and China are the top users of the Canal, and while a lower volume of cargo is expected to transit the Canal with the global economic slowdown, higher transit fees will result in a net increase in revenues. Strong economic performance has not translated into broadly shared prosperity as Panama has the second worst income distribution in Latin America. About 30% of the population lives in poverty, however, during TORRIJOS's term poverty was reduced from 40% to 30% and unemployment dropped from 12% to 6%. In 2009, the world recession reduced the amount of revenues Panama earned through global shipping that transits the Canal. Not a CAFTA signatory, Panama in December 2006 independently negotiated a free trade agreement with the US, which, when implemented, will help promote the country's economic growth. The UAE is a federation of seven autonomous Shaikhdoms with a total land area of 83,600 square kilometres. The seven emirates are Abu Dhabi, Dubai, Sharjah, Ras Al Khaimah, Fujairah, Umm al Qaiwan and Ajman. The total population is 3.48 million (85% of which is expatriate). The climate is dry sub tropical with hot summers (May to October) and high humidity near the coast. 1. For U.A.E the major obstacle i think this country is facing should global warming period and that of wind in the season it due so for many this country have tried all their best to go to the field battle for years now to solve the problem ,and according to my research on this country it took me time to get what this country are up to solve this problem despite wealth they are still facing it for time being and where the answer just come from no one just don't it's still remain secret to the country . For UAE to find their own answer it was really a great tough issue for them but they are now capable and to face this obstacle from square of the country where they are encounting this problem. and for if they are able to accomplish this it will be a bow for the rest of the country in whole wide world. According to soil of the land they are having over there to make the country be protective from the global disaster they always face in due season this make them sought out for " land art initiative generator " designers to give them some specimen to glance and see which of it's to be to implimented on the land to protect the country and also to make it a beautiful land just take a view of the Land Art Initiative this country is about to accomplished next year by http://www.landartgenerator.org . all this are designed to face obstacle they are having from global warming and terrible wind in the due season that all for due challenge problem they are facing in that country. 2. For their economy it's shown that the people of the UAE generally enjoy a high standard of living because of oil wealth; diversification has dampened the shocks of oil price fluctuations; the UAE is a regional trading and tourism hub . The United Arab Emirates (UAE) is a federation of seven states formed in 1971 by the then Trucial States after independence from Britain.Since then, it has grown from a quiet backwater to one of the Middle East's most important economic centres. Although each state – Abu Dhabi, Dubai, Ajman, Fujairah, Ras al Khaimah, Sharjah and Umm al Qaiwain – maintains a large degree of independence, the UAE is governed by a Supreme Council of Rulers made up of the seven emirs, who appoint the prime minister and the cabinet, and before oil was discovered in the 1950s the UAE's economy was dependent on fishing and a declining pearling industry. But since 1962, when Abu Dhabi became the first of the emirates to begin exporting oil, the country's society and economy have been transformed. The late Sheikh Zayed, ruler of Abu Dhabi and president of the UAE at its inception, was quick to seize on the potential of the oil industry. He oversaw the development of all the emirates and directed oil revenues into healthcare, education and the national infrastructure. The oil industry has attracted a large influx of foreign workers who, together with expatriates, now make up more than three quarters of the population.But the UAE's authorities also tried to reduce its dependency on oil exports by diversifying the economy, creating booming business, tourism and construction sectors.While Abu Dhabi remained relatively conservative in its approach, Dubai, which has far smaller oil reserves, was bolder in its diversification policy.Particularly during the credit bolster that built up after 2000, Dubai sought to turn itself into the financial gateway and cosmopolitan hub of the Middle East.It also began attracting vast amounts foreign investment for ever more ambitious construction projects, most famously the Burj Dubai hotel – as of 2009, the tallest man-made structure ever built – and futuristic land reclamation projects, such as the palm-shaped artificial Palm Islands.But the worldwide freeze in credit markets looked set to hit Dubai harder than oil-rich Abu Dhabi, prompting speculation that the balance of power in the UAE could shift back to its traditional political centre.The UAE is one of the most liberal countries in the Gulf, with other cultures and beliefs generally tolerated, especially in Dubai. However, politically it remains authoritarian. It was the only country in the region not to have elected bodies until 2006 December, when it convened a half-elected federal assembly, which, however, was restricted to a consultative role. The global economic crisis has brought Dubai's economic progress, mirrored by its soaring towers and luxurious resorts, to a stuttering halt. Several people have been laid off in the past months after the realty boom started unraveling.On the night of December 31, 2008 alone more than 80 vehicles were found at the airport. "Sixty cars were seized on the first day of this year," director general of Airport Security, Mohammed Bin Thani, told DNA over the phone. On the same day, deputy director of traffic, colonel Saif Mohair Al Mazroui, said they seized 22 cars abandoned at a prohibited area in the airport.Faced with a cash crunch and a bleak future ahead, there were no goodbyes for the migrants - overwhelmingly South Asians, mostly Indians – just a quiet abandoning of the family car at the airport and other places.While 2,500 vehicles have been found dumped in the past four months outside Terminal III, which caters to all global airlines, Terminal II, which is only used by Emirates Airlines, had 160 cars during the same period. "The construction and real estate industry has been hit following the global slowdown and the direct fallout is that professionals working in the realty industry are rapidly losing their jobs," said a senior media professional, in-charge of a realty supplement in Dubai. "In fact, my weekly real estate supplement usually had 60% advertisement and ran into 300-odd pages. In the last seven weeks, it's down to 80 pages and with fewer advertisments," he added. Another such victim of the meltdown said he bid goodbye to his car in a small bylane near the airport and hailed a cab. "I was scared because a number of us were doing the same and did not want to be questioned by the police. There was no way I could afford to pay the EMI of 1100 Dhirams for my Ford Focus," he told DNA on condition of anonymity.When contacted, the dealer for Asgar Ali cars in Sharjah said, "We are helpless and do not know how to tackle this issue. A large number of such owners are from Indian, Sri Lanka, Bangladesh and other South Asian countries." According to the research i did towards the U.A.E largest global economy crisis that was felt in 2006/2008 i find is now re-gaining strenght. The Investors sentiments dictate market trends and going it by the latest reports, investors are bullish about the UAE economy and its real estate industry. The investor confidence in the market has been boosted by the AED 42 billion UAE Federal Budget 2008 that shows no deficit. The budgetary outlay for 2009, which allocates 5.1 per cent for infrastructure and 2.4 per cent for financial and fixed investments, signifies a growing economy, not beset with liquidity crunch. Since the 2005 Federal Budget, the UAE's budgetary allocation has risen by over 100%. The total outlay of the current budget, which is the largest in the UAE’s history, is 21 per cent higher than last year’s AED34.9 billion. It contains provisions for a 70 per cent increase in the salaries of all federal employees, including civilians, military personnel and pensioners. Moreover, the new budget does not contain any new increase in the federal fees. Despite the current economic gloom, banking sectors in the region generally remain sound with continued improvements in prudential indicators and strengthened banking supervision. The UAE has pumped a whopping AED 120 billion into its banking sector to allay fears of a financial meltdown. Buoyed by the budget and timely intervention by the Ministry of Finance, the UAE financial and real estate sectors are expected to expand, thereby sustaining the growth that commenced in the early 2000s. This sentiment is echoed by local and foreign investors, who have expressed utmost faith in the economy and the market. The country is all set defy the prevailing global economic gloom and outdo all other regions, in terms of capital funds and developmental activity, according to the Investor Sentiment Survey conducted by Jones Lang LaSalle in association with Cityscape Dubai, the world's largest real estate conference and exhibition. Undertaken in the aftermath of the collapse of US Investment Bank, Lehman Brothers, the 2008 Investor Sentiment Survey was based on interviews with over 350 developers, sovereign wealth funds and high net worth investors. Over 50% of the respondents to the Investor Sentiment Survey 2008 believed the Middle Eastern real estate markets, led by the UAE will see the strongest performance of any region worldwide over the next 1-2 years. Investors are least positive towards Western European real estate markets, with only 3% expecting this to be the strongest performing region. "My daily reflection today in any circumstance you are facing if you're willing to solve any problem it is very important for you know what you are dealing with and it will be perfection if you can keep your lid towards your observation in your examining period". According to the World Port Source, both UAE and Panama are active competitive exporters and importers with the United States. Reports of possible negotiations for a Free Tade Agreement between the U.S. and both countries in addition to a Panama Canal expansion that began in 2007 promises their import/export capacity to double. Major customers for the UAE’s US$156.6 billion worth of exports in 2007 included Japan (25.8% of total exports), South Korea (9.6%), Thailand (5.9%) and India (4.5%). Oil accounts for about 45% of UAE export shipments to the rest of the world. Other leading UAE export commodities include natural gas, dried fish and dates. UAE imports last year were valued at $101.6 billion. Leading importers into the UAE are the United States (11.5% of total imports), China (11%), India (9.8%), Germany (6.2%), Japan (5.8%), the United Kingdom (5.5%) France (4.1%) and Italy (4%). Principal UAE imports are machinery and transportation equipment, chemicals and food. Per the CIA World Fact Book: Exports: crude oil 45%, natural gas, reexports, dried fish, dates Imports: machinery and transport equipment, chemicals, and food. Both countries have been long standing IMF members. As far as my concern after your illustrations the major thing which make the UAE and panama to come on possibility is trade.